Mostly on Russian (see details below). Here you can find the materials for lections devoted to introduce programmers and pm-newbies into Project Management world. Lections were presented twice at Ciklum during summer-autumn 2008. 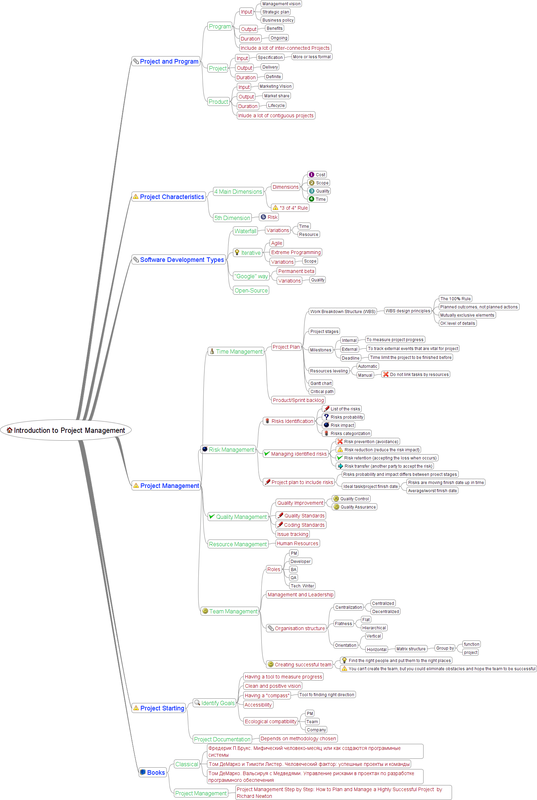 Download presentation or view mind map. Article is devoted to Top 5 Errors being hardest to be found and fixed for our team in two years period. In the archive there are artcle text (russian only, sorry) and english presentation. Download.